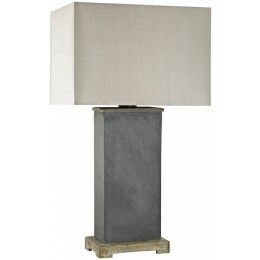 The Elliot Bay outdoor table lamp boasts weather-resistant circuitry and a highly durable frame constructed with textured grey stone and warm natural concrete slate. 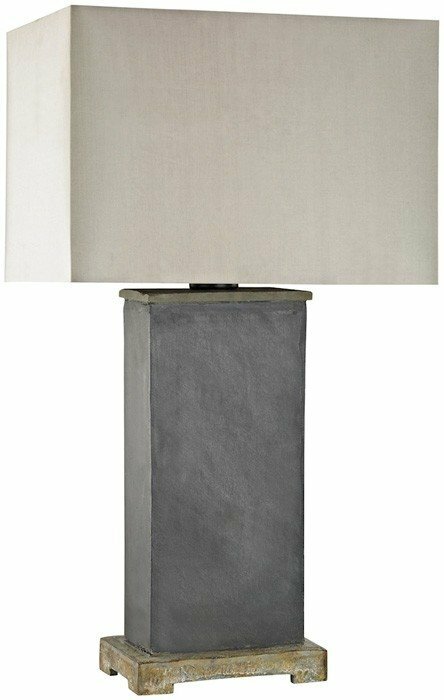 Combines crisp contemporary lines with rustic design notes, making it an ideal fit for today's outdoor entertainment space. soft Taupe waterproof nylon shade.